How does 'Calvinism' affect the way you view - worship, humility, adversity, outlook, evangelism, holiness, assurance, law & liberty, prayer, guidance & living faith. Calvinism is not a set of dry and dusty doctrines that elevate a man above the work of God. It is a set of doctrines that existed before and after the reformer explained them so clearly. C.H. Spurgeon said "It is a nickname....Calvinism is the Gospel and nothing else". Despite its widespread influence there is little understanding of the tradition or its practical importance. In fact, there are more misconceptions than there is understanding - just what difference does Calvinism really make? Terry Johnson has personally been touched by the practical implications of Calvinism and recommends others to drink satisfyingly from the same spiritual wells. He believes that the church is not receiving the nourishment it needs from God, or the freedom it could have, to serve God. 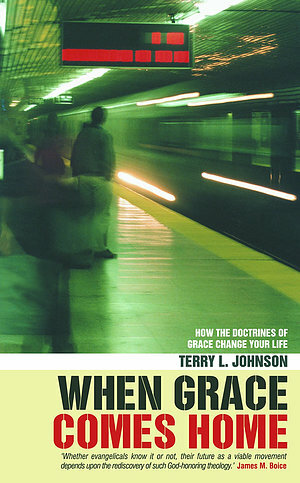 When Grace Comes Home by T Johnson was published by Christian Focus Publications in September 2000 and is our 46803rd best seller. The ISBN for When Grace Comes Home is 9781857925395. Be the first to review When Grace Comes Home! Got a question? No problem! Just click here to ask us about When Grace Comes Home.